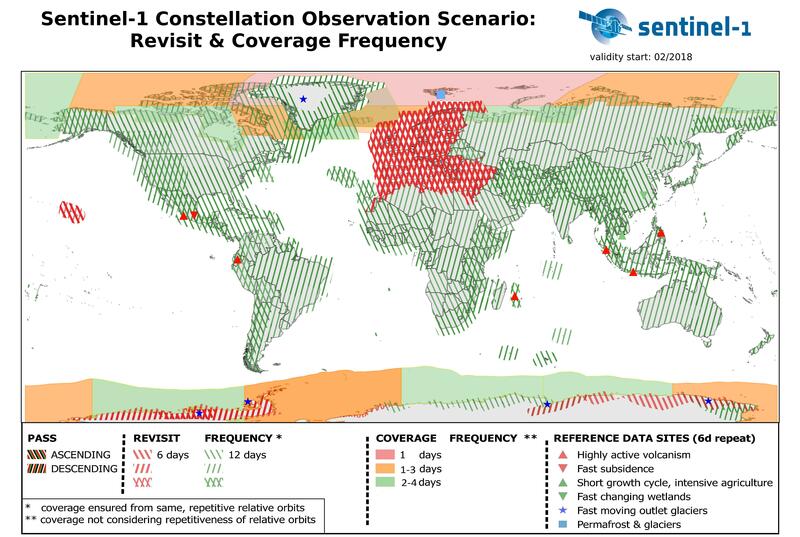 Sentinel-1 routinely collects data in three modes: Interferometric Wide Swath (IW), Extra Wide Swath (EW) and Wave (WV). The latter two are used for marine applications, while the first is used over land. IW mode is designed to be used for Interferometric Synthetic Aperture Radar (InSAR), a technique that allows the measurement of relative motion of the surface. Such motion includes movement of natural terrain as well as buildings and other infrastructure (railway) on the Earth’s surface. The InSAR processing of time series in the service will be based on using the Sentinel-1 IW mode Single Look Complex products at 5x20 (approx.) meter resolution. Digital elevation model (DEM) data and weather information are also integrated in the system to offer accurate results.